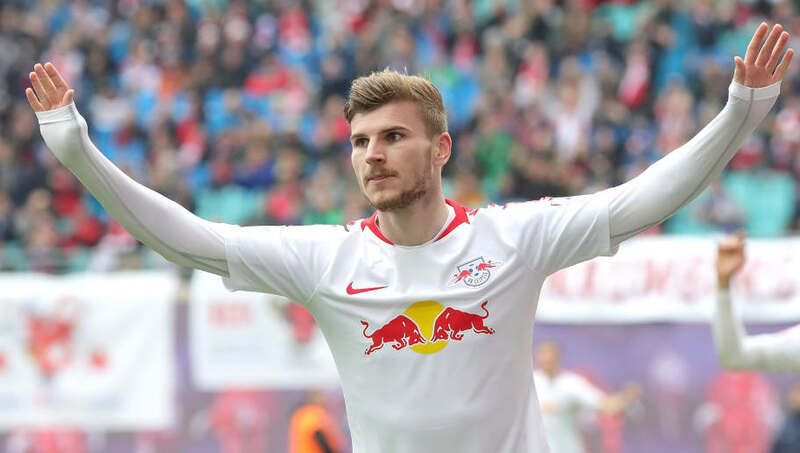 ​RB Leipzig CEO Oliver Mintzlaff has revealed that Timo Werner has indicated to the club that he's unlikely to sign a new deal. He's continued his impressive scoring record this season having bagged himself 14 goals in 26 ​Bundesliga appearances and has helped Leipzig go on an 11 game league unbeaten run which in turn has helped them up to third in the league standings - six points clear of their nearest challengers Eintracht Frankfurt. Werner's future with Leipzig has been called into question in recent months given his growing popularity amongst Europe's top clubs with the likes of ​Bayern Munich, ​Borussia Dortmund and ​Liverpool all said to be lining up offers for the striker, and these rumours may just have been given more fuel. Speaking with Sky Germany, via ​SportBild, at half time during Leipzig's clash with Wolfsburg, CEO Mintzlaff admitted Werner has indicated to the club that he doesn't wish to sign a contract extension. He said: "We want to extend it with him, but he has signalled to us that he would rather not extend."